Handwara, Jan 06 : A wild bear attacked a man and injured him critically in North Kashmir Handwara village on Sunday. Reports reaching Kashmir Despatch said that a man was critically injured after being attacked by three bears in Rajwar area of Handwara. However the injured was rushed to District hospital Handwara for advance treatment. 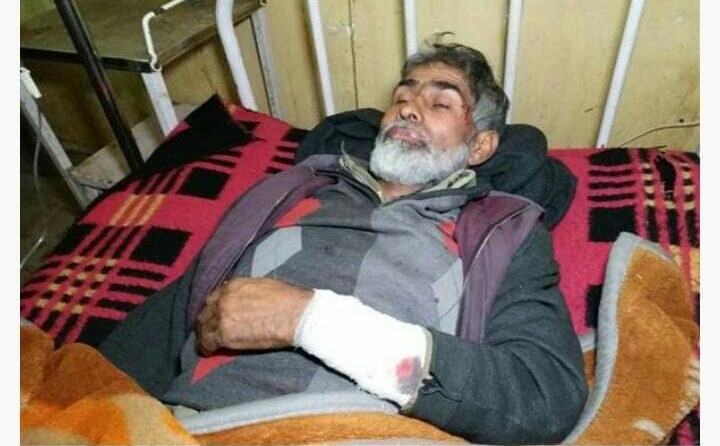 The injured identified as Geelani Fekri of Nagranar village of Handwara. Pertinently in the meantime three wild bears also killed horses and three sheeps in the village.